Being on the road is hard for the horse, how do you keep your horse sane? What are some of your tips while traveling? 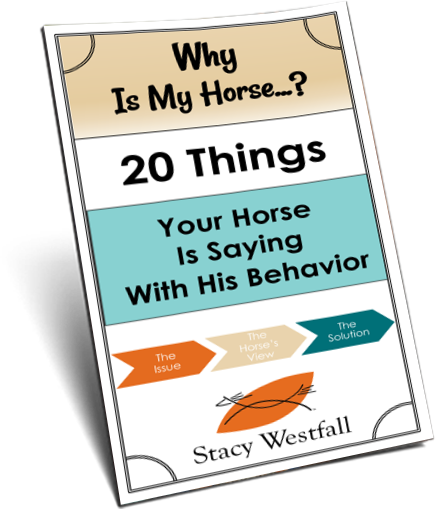 “Being on the road is hard for the horse and rider, how do you keep your horse sane? What are some of your tips while traveling? And how do you get over the speed bumps along the way?” -Melissa F.
While it is true that being on the road can be hard on the horse and handler there are a number of things that can be done to make the experience much more enjoyable. Three things to keep in mind are: make it safe, make it comfortable and make it normal. Just like anything else in life, travel is something that can be practiced and learned. The more you travel the more experience you have and the more well equipped you are on your next trip. Our kids were born into a family that traveled and it was normal to drive 16 hours to visit family or 18 hours to go to a horse show. Because our kids traveled so much they didn’t start asking ‘are we there yet’ until four or five hours into the trip and they consider three hours or less to be a ‘short’ trip…it is all in perspective. Our horses have also been conditioned to think this way. The lessons that I teach during groundwork have physical and emotional elements and much of this carries over to the trailer. It is normal for me to haul an extra horse or two along to the vets or when picking up or dropping off another horse with no intention of ‘doing’ anything with that horse. They are just along for the ride. This way they can experience loading, unloading, balancing, standing, eating and drinking on the trailer. The horses also learn to relax because nothing is expected of them, there is no big show or high pressure events they are attending. We do enough of this that our horses seem to view a trailer ride much like a dog views a ride to the bank. I have even loaded horses in the trailer and driven them to the grocery store…just for more hauling experience! We always make sure that the truck and trailer are safe and comfortable. We adjust the windows and vents for fresh air, although not too much if it is cold. We put bedding down to prevent slipping making sure that it is not dusty and we give them hay. We also drop the windows when we stop to allow them to learn to stick their heads out which makes watering easier. We are also very aware that our driving habits need to be different when we haul. Sudden or quick turns throw horses off balance quicker than accelerating does and braking is an entire subject of its own. Many people worry if their truck will have enough power to pull their trailer while not considering if it will properly STOP the trailer. Having brakes that are adjusted properly is a subject that major horse magazines bring up yearly because it makes a huge difference in both safety and comfort. Brakes that grab and jerk when you touch the pedal make it more work for the horse to simply maintain his balance. Research says that a horse riding in a trailer uses the same energy to balance as a horse walking. This means if you haul for four hours it is physically similar to them walking for four hours. 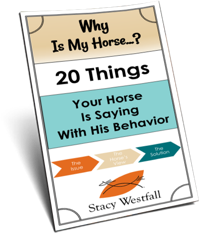 I use this as a gauge to decide what a horse can handle; a fit five year old will be different than an unfit twenty year old. In general I think that people aim for keeping horses safe and comfortable but if there is an area they fall short in it is making hauling ‘normal.’ This might be for the lack of a trailer or the lack of time…but either way you need to be honest that this is what the issue is and not expect the horse to haul like one that is frequently hauled. In these cases you can also make some changes like doing extra work the week before hauling or hauling a calm buddy with your horse. Do things that will help keep them safe, comfortable and as normal as possible and always make the best decision for the horse. ← I wanted a saddle for Christmas…but got something else. who knew you were a “rapper” too!! 🙂 ..that slick beat could be the next top hit!!!! Loved the video!